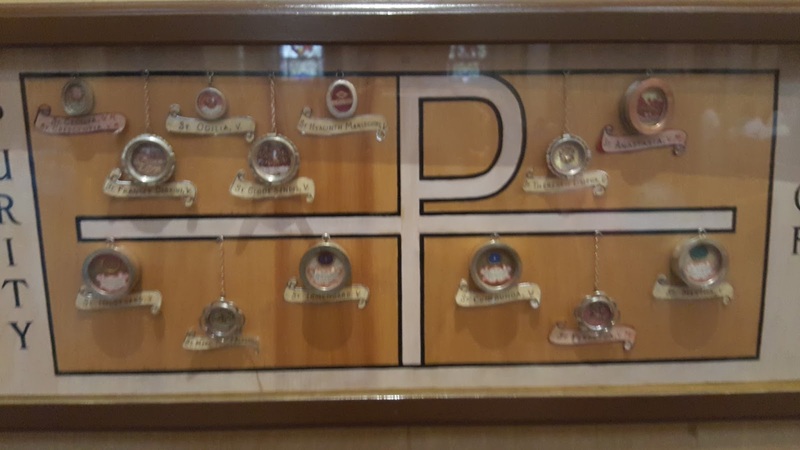 When you think of the Councils of the Church, you probably imagine a group of Cardinals and Bishops quietly discussing obtuse theological doctrines which have no practical implications. Perhaps a loud cough is heard once in a while but, on the whole, it is a staid affair. Actually, the Councils were anything but impractical or quiet. There were loud disagreements and accusations of heresy. You will read about wars, riots, murders and shipwrecks as well as anti-popes and the suppression of the Templars. The Council members cared deeply about the religious and social problems of their day, arguing for months, sometimes years, in order to find a solution. Each chapter of the book contains a discussion of why the Council was called and what happened at the Council, as well as Biblical references and prayers. You shall meet many saints (from Saint Francis to Saint Nick) as well as a few characters not so holy. Each Council has its own exciting story but each has a unifying theme in the Church’s unending mission to guide souls to God. Unlike other books which have tried to examine only certain Councils in detail, this one-of-a-kind work is the result of years of research. 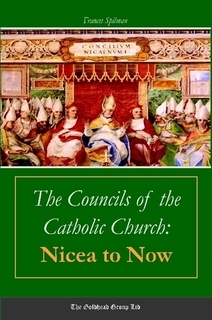 Learn the fullness of all the teachings of the Church’s Ecumenical Councils from Nicea to Constantinople to Lyons to Florence and to the present day, and everything in between. From Nicea to Now is written by Frances Spilman, author of A Step Towards Heaven: An Introduction to Religion. Frances is from a small town in Northern New Jersey and attended Catholic schools from 1st grade through graduate school. She has been a church organist and pianist since the age of 13 and has volunteered as a CCD teacher for many years. Frances is a Life Runner and has marched in the Right to Life Parades. For more information please visit CatechismClass.com to take part in the interactive online course. Or if you are interested in the paperback, click here to preview the book. 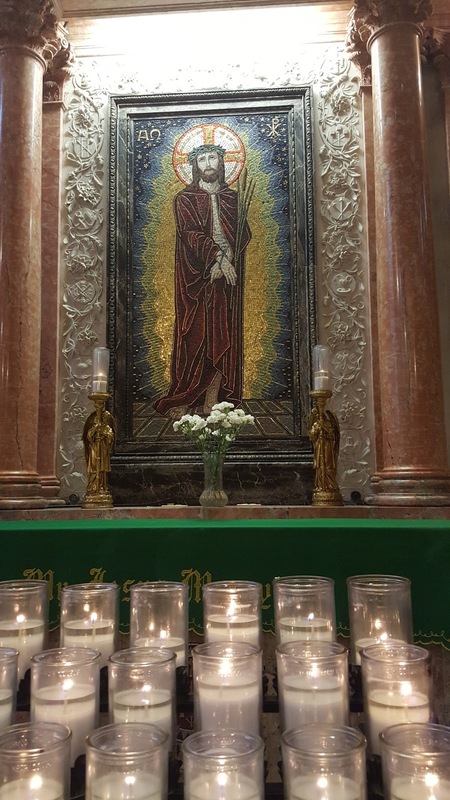 Today is the Feast of St. Wenceslas. St. Wenceslaus of Bohemia was the son of Vratislav I, Duke of Bohemia, whose family had been converted by Saint Cyril and Saint Methodius, and Drahomira, daughter of a pagan chief; she was baptized on her wedding day, but who apparently never seriously took to the faith. 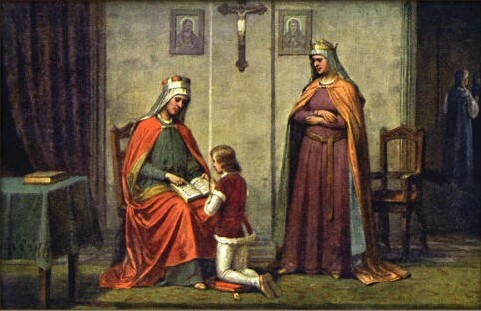 St. Wenceslaus' teacher and grandmother was St. Ludmilla. The good king Wenceslaus (as he is known in the popular Christmas carol in his name) ascended to the throne when his father was killed during a pagan backlash against Christianity, which he fought against with prayer and patience. St. Wenceslaus was murdered by his brother, Bolesalus at the door of a church. While his death was for political reasons, he is ordinarily considered a martyr since the politics arose from the Faith. 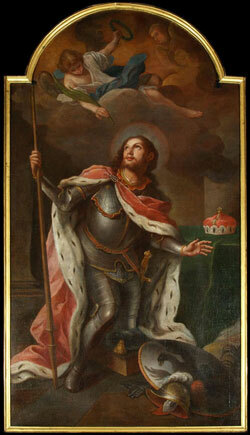 In Bohemia, St. Wenceslas, duke of Bohemia and martyr, renowned for holiness and miracles. Being murdered by the deceit of his brother, he went triumphantly to heaven. O God, You raised blessed Wenceslas from his earthly honors to the glory of heaven by granting him the victory of martyrdom. May his prayers shield us from all harm and bring us to share his heavenly happiness. Through our Lord . . .
St. Wenceslas, duke of Bohemia, was the son of Wratislas and Drahomira. In proportion as his father was a model of all Christian virtues, his mother was the possessor of all vices, besides being a great enemy to the Christian Religion. Wratislas, upon his dying bed, gave Wenceslas in charge of his grandmother Ludmilla, while Boleslas, his younger, was kept by Drahomira. As both women were totally different in their morals, so also the conduct of the two children became entirely unlike. Wenceslas became pious and holy; Boleslas, godless and licentious. Drahomira seized the government of the state and persecuted the Christians most cruelly. 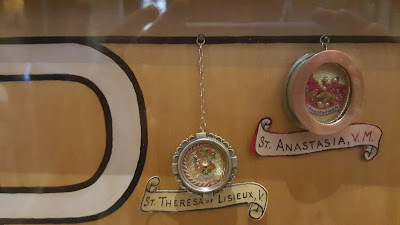 She banished the priests, dismissed the Christians from all public places, which she filled with heathens of whom the faithful had nothing to expect but cruelty. The nobles would not submit to this administration, and deposing Drahomira, placed Wenceslas on the throne, and bound themselves to him by an oath of allegiance. 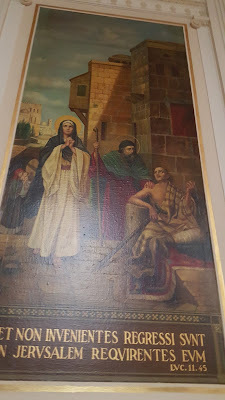 Drahomira, burning with rage when she perceived that the Christians were again protected by the pious Ludmilla, was determined to revenge herself. She sent some hired assassins who strangled her with her own veil, while she was at her devotions in her private chapel. Not satisfied with this murder, Drahomira sought to make away with her son Wenceslas. Meanwhile, this holy Prince conducted himself towards God and his subjects in such a manner, that he was beloved and highly esteemed by every one. He was extremely kind in all his actions, temperate in eating and drinking, unwearied in his care for his subjects, and blameless in his whole conduct. He was so charitable to the poor and to prisoners, so compassionate to widows and orphans, that the Christian world could count but few men like him. The prisoners he visited at night and gave them rich alms, the sick he supplied with all they needed, and showed a fatherly heart to the widows and orphans. It is known that he himself, at night, carried wood upon his shoulders to the destitute. Not a shadow of impurity tarnished the brightness of his life, and he preserved his chastity unpolluted to his end. He gave daily several hours to prayer, and even in winter frequently visited the Church at night barefooted. One of his servants who accompanied him, one day complained of the cold, and the duke told him to step in the footprints which he, walking before him, had made in the snow. The servant did so and no longer felt any cold; for the footprints of the prince were warmed by his love to the Holy Eucharist. Towards the priests he was always extremely generous. He often served them at the Altar, and allowed not the least wrong to be done them by word or deed. 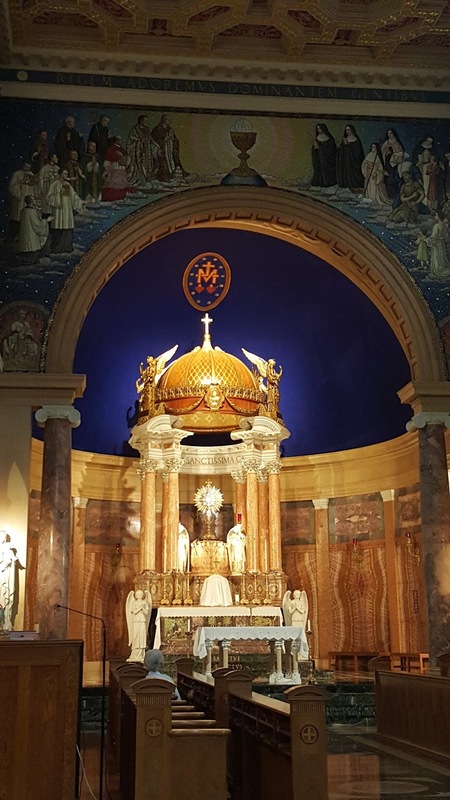 He distinguished himself especially in his devotion to the Holy Mass at which he daily assisted. 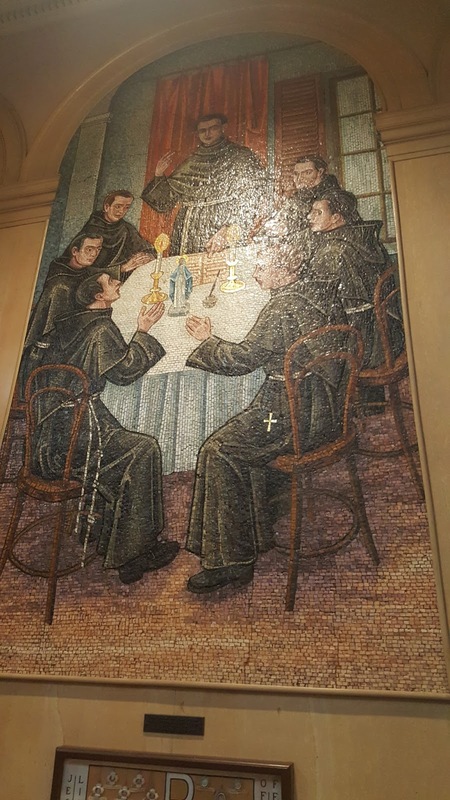 He sowed, gathered and prepared with his own hands, the wheat which was used in making the Hosts; and cultivated and pressed the grapes for the wine used at Holy Mass. In one word, Wenceslas reigned and lived like a Saint. Count Radislas, scorning the piety of the duke, caused the people to rebel and marched against Wenceslas. The latter, sending him a deputation, made offers of peace, but Radislas would not even listen to the king's message, esteeming it a sign of Wenceslas's cowardice. Hence the holy duke was forced to meet him at the head of his army. The two armies were drawn up opposite each other in battle array, when Wenceslas, sad that so much innocent blood should be shed, and being willing rather to give his own than that of his subjects, challenged Radislas to single combat, with the condition that the victory should be on the side of him who should slay his adversary. Radislas accepted the challenge, and spear in hand, galloped in full armor towards the Saint. The latter was also clad in armor, but carried only a sword. Radislas intended to unhorse Wenceslas with his spear and thus have him in his power. The Saint went to meet him, making the sign of the cross. At the moment when Radislas was about to thrust his spear, he saw, by the side of Wenceslas, two angels who cried to him: "Stand off!" This cry acted like a thunderbolt upon Radislas, and changed his intentions. 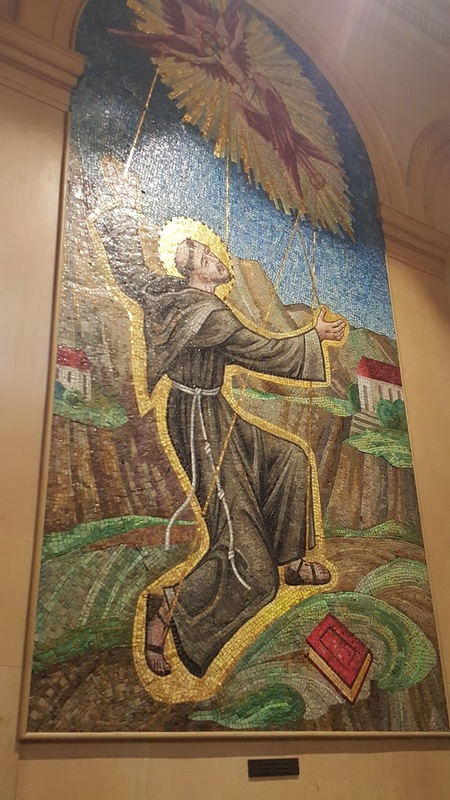 Throwing himself from his horse, he fell at the Saint's feet, asking for grace and pardon, promising obedience in future. Wenceslas raised him from the ground and kindly received him again into favor. Soon after, the duke was summoned to Worms to assist at the general Diet. The emperor and all the princes and dignitaries were already assembled, but Wenceslas had not yet appeared as he was detained by hearing Mass. Thinking that his delay was intentional and caused by pride, they determined to receive him very coldly, and without the honor he had a right to expect. 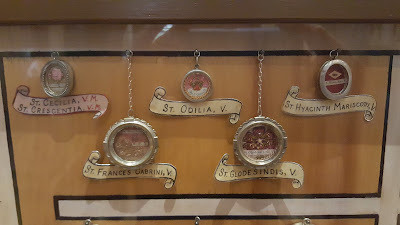 But when the Saint entered the hall, Otho, the emperor, saw two angels accompanying him, carrying before him a golden cross. When the Emperor had recovered from the awe with which this sight had inspired him, he arose from his throne and going towards the Saint, he led him to the seat prepared for him. The entire assemblage were greatly astonished at this act of the emperor, but when he related what he had seen, they all regarded the Saint with the greatest reverence. The emperor also bestowed the royal dignity and power on Wenceslas, and presented him with the arm of the holy martyr, St. Vitus, which Wenceslas received gratefully and with due respect, and took with him to Bohemia. At the close of the Diet, the Saint returned as king, and continued his holy life. The more the pious monarch was loved and honored by his subjects on account of his holiness and his new dignity, the more hostile Drahomira and Boleslas grew towards him. Wenceslas, who perceived this, determined to resign his crown. But the wicked Drahomira would not wait for this. Boleslas had become father of a son, and Wenceslas was invited to be present at the baptism of the young prince. Although the holy king had reason to suppose that this invitation covered other intentions, he accepted it, in order not to manifest any distrust of his brother. 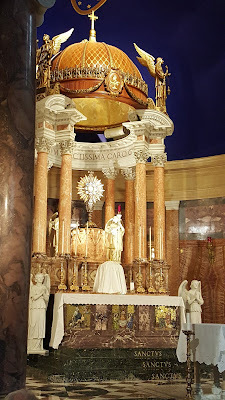 Having gone to confession and Holy Communion, he went fearlessly to the palace of Boleslas. He was received with great honor and magnificently entertained. 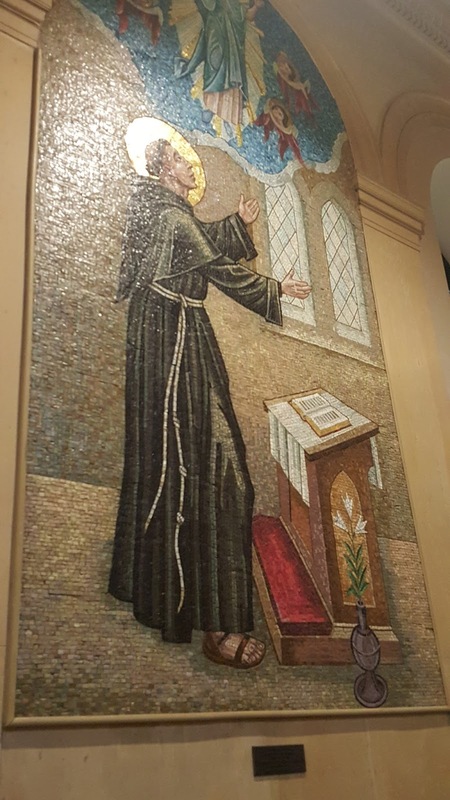 At midnight, before the banquet was ended, the Saint quietly left the hall, and went, according to his custom, into the Church. Drahomira seized this opportunity, and calling Boleslas aside, told him that the hour was now come when he could revenge himself and make the royal crown his own. The blood-thirsty tyrant needed no persuasion. Seizing his sword, he hastened, with some attendants, into the Church and stabbed his holy brother with such brutal force, that the blood bespattered the wall, where it is yet to be seen at this day. 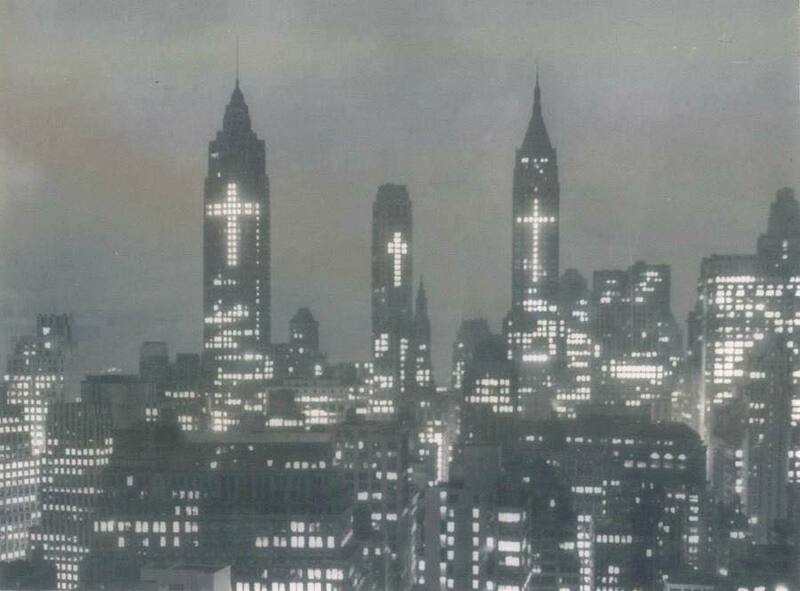 But the punishment of God soon overtook the murderers. The earth opened and swallowed Drahomira, the instigator of the sinful deed, with her horse and carriage, in that part of Prague which is called the castle of Ratschin. Of the murderers who were with Boleslas when he committed the crime, some lost their reason, while the rest died by their own hands. Although God delayed the punishment of Boleslas, it came at last. Having long been tormented by most painful maladies, at length he expired in all his wickedness. The shrine of the holy king Wenceslas was honored with many miracles, after God had crowned his virtuous soul with everlasting glory in the kingdom of Heaven. Thou didst win thy crown, O holy martyr, in the church of Saints Cosmas and Damian, whither their feast had attracted thee. As thou didst honour them, we now in turn honour thee. 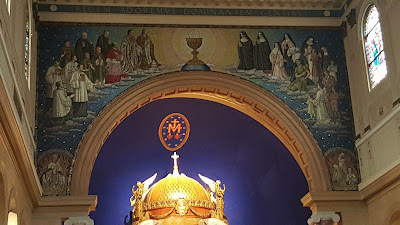 We are also hailing the approach of that other solemnity, which thou didst greet with thy last words at the fratricidal banquet: "In honour of the Archangel Michael let us drink this cup, and let us beseech him to lead our souls into the peace of eternal happiness." What a sublime pledge, when thou wast already grasping the chalice of blood! O Wenceslas, fire us with that intrepid valour, which is ever humble and gentle, simple as God to whom it tends, calm as the Angels on whom it relies. Succour the Church in these unfortunate times; the whole Church honours thee, she has a right to expect thy assistance. 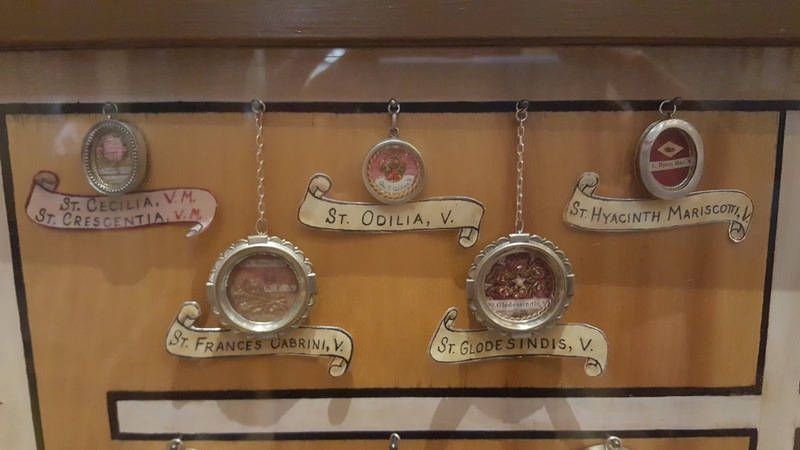 But especially cherish for her the nation of which thou art the honour; as long as it remains faithful to thy blessed memory, and looks to thy patronage in its earthly combats, its wanderings from the truth will not be without return. At Aegea, during the persecution of Diocletian, the birthday of the holy martyrs Cosmas and Damian, brothers. 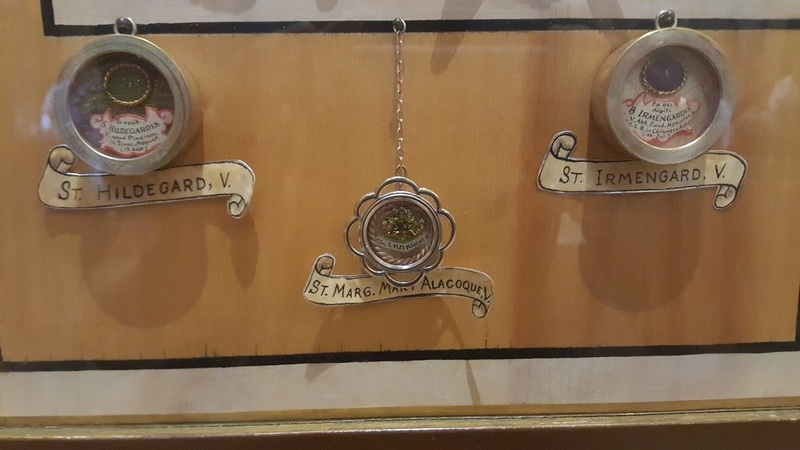 After miraculously overcoming many torments from bonds, imprisonment, fire, crucifixion, stoning, arrows, and from being cast into the sea, they were beheaded. With them are said to have suffered three brothers: Anthimus, Leontius, and Euprepius. 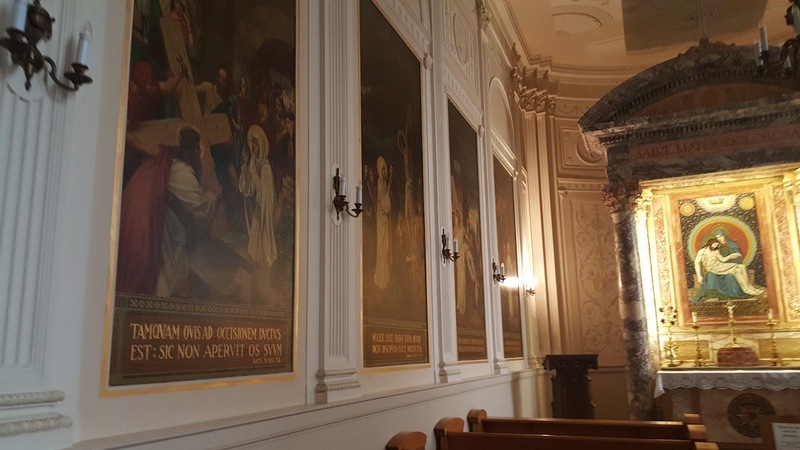 This church, made from two pagan temples, holds the bodies of the holy martyrs, Cosmas and Damian, who were put to death during the Diocletian persecution. The sick came in crowds to visit the tomb of these two brothers, doctors by profession, imploring them to restore their health. 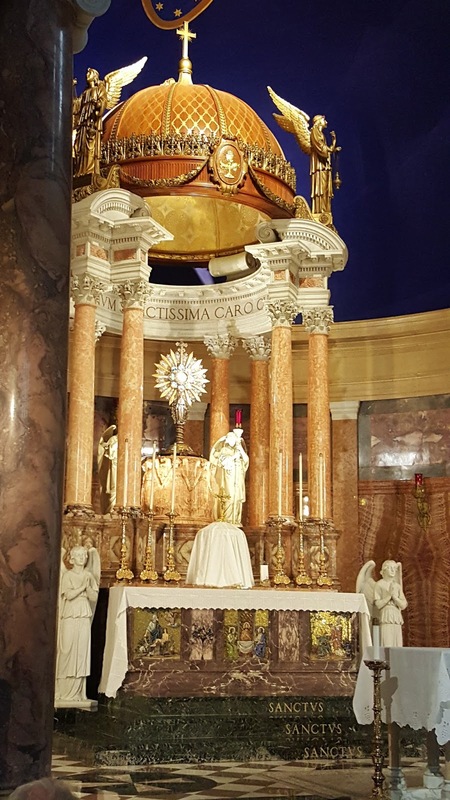 The "unsalaried" physicians, Cosmas and Damian, devoted time and talents to the service of the poor and the sick, so that, by curing the infirmities of the body without renumeration, they might more easily win immortal souls for Christ. St. Cosmas and his twin brother, St. Damian labored as physicians in Syria for no payment for their services. 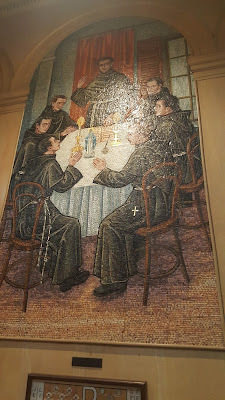 Through their works of mercy and charity, they brought many both bodily and spiritual healing. In one reported miracle, the ulcered leg of a man named Justinian was replaced with the leg of a man who had recently died. Like so many of the early saints, the two faced great persecution for following the Divine Savior of the World, Jesus Christ. There were arrested under the persecutions by the Emperor Diocletian and then tortured, yet suffered no injury. Afterwards, they were martyred and inherited the crown of martyrdom in Heaven. May Ss. 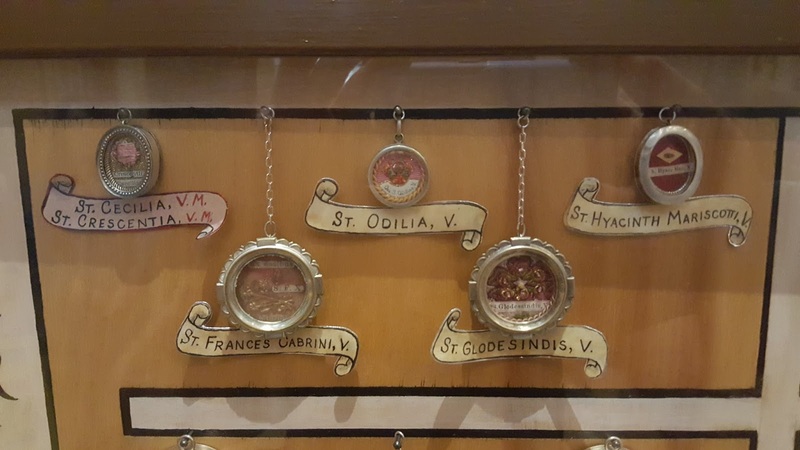 Cosmas and Damian pray for us to have their courage, and may they pray for those in the medical profession to forsake financial gains for the sake of charity. 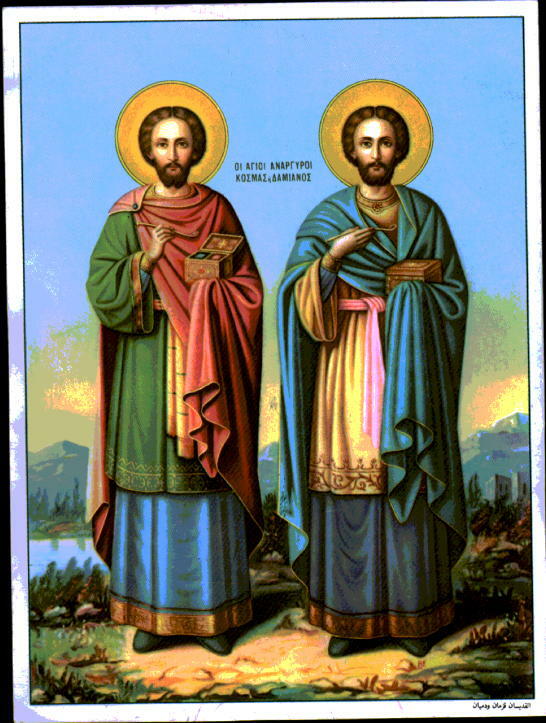 O Almighty God, today we are celebrating the birthday of Your blessed martyrs Cosmas and Damian. Hear their prayers and rescue us from all the dangers that threaten us. Through our Lord . . .
Background: For those unfamiliar with the Milgram Experiment, please watch the above video. This experiment has been repeated many times since it was first performed over 40 years ago and the results are consistent each time it is performed. Implications to a Catholics: What insights can be gleaned from the Milgram experiment to understand why so many in our society contravene the laws of God and "go along" with the status quo of abortion on demand, contraception, death, and the violation of the laws of God and His established Church? As seen in the Milgram experiment, there is a tendency to support unjust and evil actions and laws by the mere presence of a government "hovering over" us. In the Milgram experiment, many of the participants wished to stop administering painful and ultimately legal electrical shocks to the test subject; however, the presence of the scientist in the room propelled them on. So too do we see many in our world going along with abortion, the violation of the holiness of Sunday by shopping on it, the use of the Lord's name in vain, and so many other evils. Likewise, if the patient was in the room for the Milgram experiment and the one pulling the level could see the pain inflicted, researches believe far fewer individuals would go all the way and administer lethal electrical shock to the participant. Planned Parenthood and the liberal agenda similarly remove us from the evils of abortion by calling it "reproductive rights," "women's choice," and the like. There is no mention of the murder of a human life - in this way, we see great benefit from organizations that work to expose the evil that abortion is and how grotesque the procedure is. But for all sins, if we saw the pain it caused our Divine Savior and the way it marred our soul, so few of us would have the audacity to betray the simple commands of such a loving God. By desensitizing the participants in the Milgram experiment and by doing likewise in our world, we see a proliferation of sin and a loss of true morality. Two powerful take aways come for a Catholic from the Milgram Experiment. 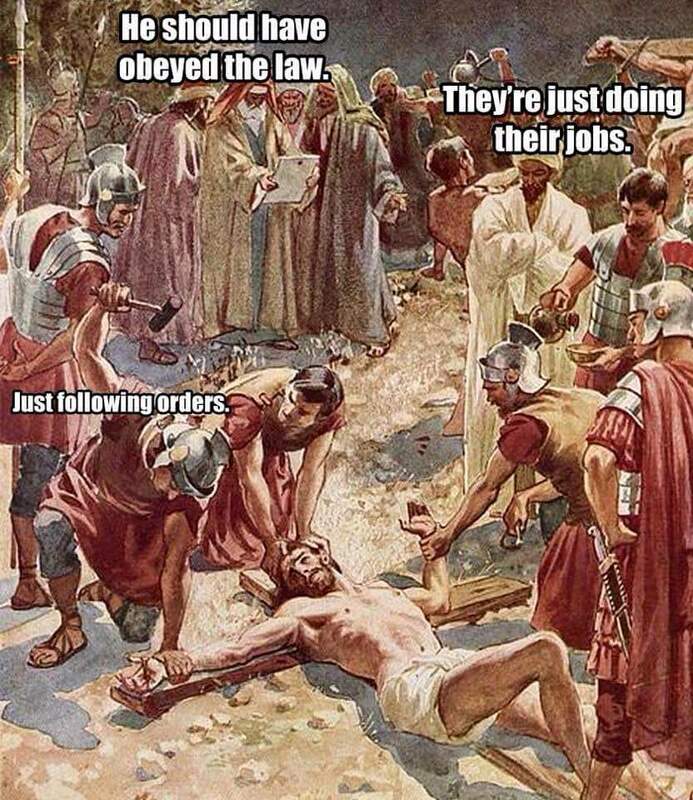 First, we feel forced to go along with sin and injustice when it is the "law" or even "the status quo." Second, we are desensitized to the evils of sin and grow accustomed to such heinous sins as abortion because we do not see its full effects. 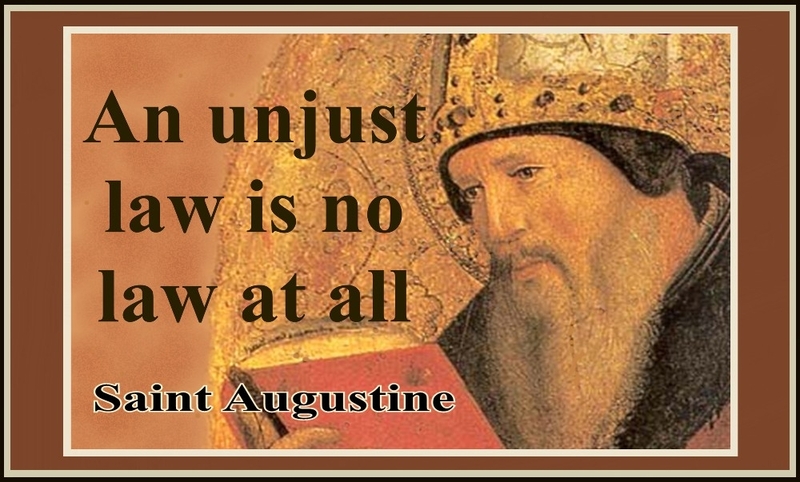 The Angelic Doctor, St. Thomas Aquinas, in his Summa reminds us that an unjust law is no law at all - in fact, obeying such a "law" is a sin against God. Such a statement was previously said by St. Augustine and other true philosophers. We must pray for the courage to at times stand up and declare the Truth, leading by our example, to increase in virtue and avoid sin. And if we should suffer rebuke, ridicule, or even martyrdom at the extreme, let us have the courage to do what the Faith and the virtues of religion and of justice demand of us. May God have mercy on our fallen world! 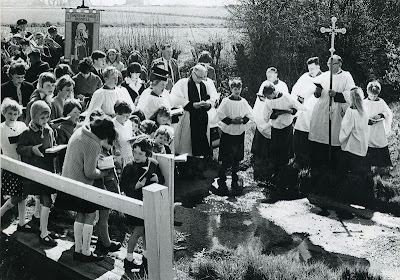 Although Ember Days are no longer considered required in mainstream Roman Catholicism following Vatican II, they can - and should - still be observed by the Faithful. In fact, many Traditional priests encourage the Faithful to observe the days. Ember Days are set aside to pray and/or offer thanksgiving for a good harvest and God's blessings. If you are in good health, please at least fast during these three days and pray the additional prayers. Remember the words from the Gospel: "Unless you do penance, you shall likewise perish" (Luke 13:5). Ember Days are days of fasting and partial abstinence. Ember days (corruption from Lat. Quatuor Tempora, four times) are the days at the beginning of the seasons ordered by the Church as days of fast and abstinence. 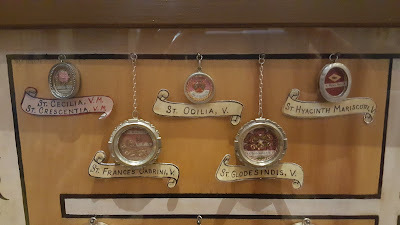 They were definitely arranged and prescribed for the entire Church by Pope Gregory VII (1073-1085) for the Wednesday, Friday, and Saturday after 13 December (S. Lucia), after Ash Wednesday, after Whitsunday, and after 14 September (Exaltation of the Cross). The purpose of their introduction, besides the general one intended by all prayer and fasting, was to thank God for the gifts of nature, to teach men to make use of them in moderation, and to assist the needy. The immediate occasion was the practice of the heathens of Rome. The Romans were originally given to agriculture, and their native gods belonged to the same class. At the beginning of the time for seeding and harvesting religious ceremonies were performed to implore the help of their deities: in June for a bountiful harvest, in September for a rich vintage, and in December for the seeding; hence their feriae sementivae, feriae messis, and feri vindimiales. The Church, when converting heathen nations, has always tried to sanctify any practices which could be utilized for a good purpose. At first the Church in Rome had fasts in June, September, and December; the exact days were not fixed but were announced by the priests. The "Liber Pontificalis" ascribes to Pope Callistus (217-222) a law ordering: the fast, but probably it is older. Leo the Great (440-461) considers it an Apostolic institution. When the fourth season was added cannot be ascertained, but Gelasius (492-496) speaks of all four. This pope also permitted the conferring of priesthood and deaconship on the Saturdays of ember week--these were formerly given only at Easter. Before Gelasius the ember days were known only in Rome, but after his time their observance spread. They were brought into England by St. Augustine; into Gaul and Germany by the Carlovingians. Spain adopted them with the Roman Liturgy in the eleventh century. They were introduced by St. Charles Borromeo into Milan. The Eastern Church does not know them. 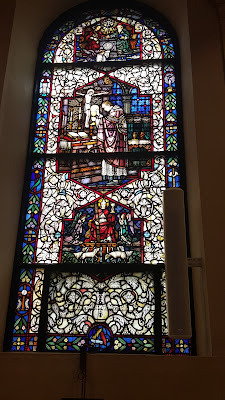 The present Roman Missal, in the formulary for the Ember days, retains in part the old practice of lessons from Scripture in addition to the ordinary two: for the Wednesdays three, for the Saturdays six, and seven for the Saturday in December. Some of these lessons contain promises of a bountiful harvest for those that serve God. A few days ago I received in the mail a copy of Our Lady, Undoer of Knots by Marge Fenelon to review. I admit that before receiving this book I was unfamiliar with both devotion to Our Lady under this title and with Ms. Fenelon. After finishing the book, I am glad to have come across both. The book is a very short read - I finished it in only around 3 - 4 hours. However, the substance of the book is quite spiritually edifying. 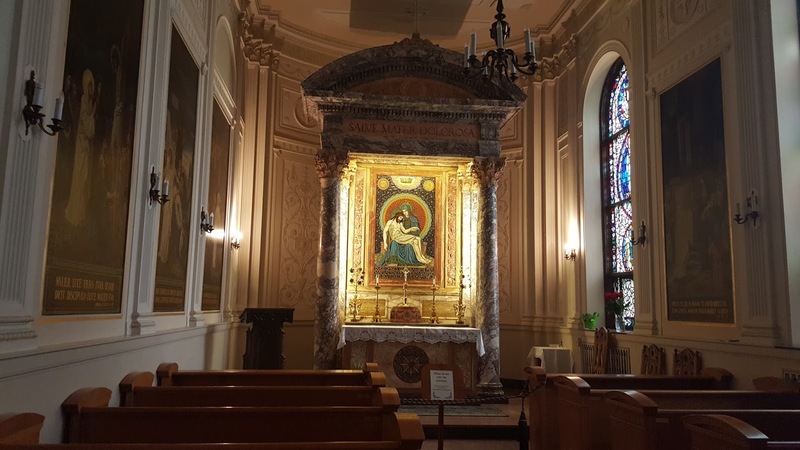 Using the image of Our Lady, Undoer of Knots, the author shows us how our Blessed Mother can help undo the knots of disorder, sin, and confusion in our lives. Each chapter features a great prayer to Our Lady, Undoer of Knots. The book is structured around the 2014 pilgrimage of Pope Francis to the Holy Land. Each chapter focuses on one of the holy sites visited by Pope Francis (e.g. The Basilica of the Holy Sepulchre, the Church of All Nations near the Grotto of the Agony, the Basilica of the Nativity, et cetera). 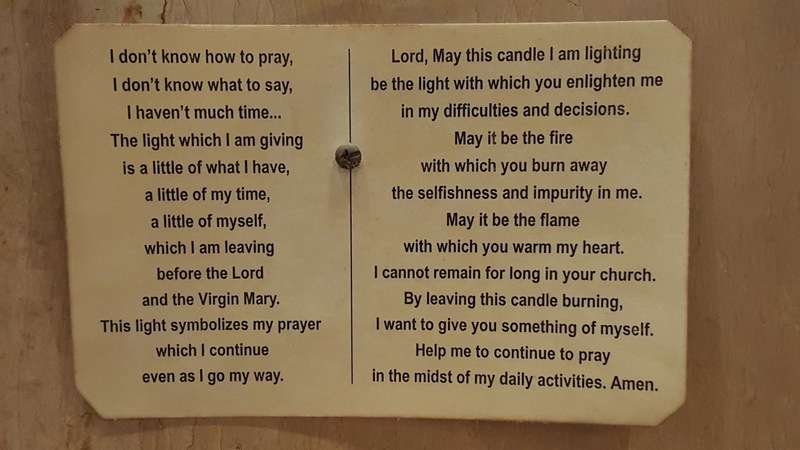 Using some of Pope Francis' words as a guide and her own experiences visiting, touching, and venrating these holy sites, Ms. Fenelon has crafted a powerful meditation. This book has helped me see even more the need for us to pray for peace in the Holy Land and to contribute to the support of the sacred sites there. While in Jerusalem at a museum documenting the Holocaust, the author describes the reaction of the Jewish tour guide who blamed the Church. I am glad to read in here how the author refutes the notion that the Church did nothing - citing the example of Pope Pius XII who saved thousands in the Vatican itself. In this time of crisis in the Church, many books written nowadays are questionable on their orthodoxy - if not outright heretical. This book was sound in its Theology and inspiring. I am happy to recommend it. The book does not capitalize pronouns that reference our Lord's name. 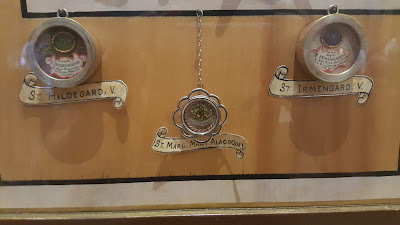 The book at the back under "How to Pray the Rosary" includes the "Luminous Mysteries" that are not an actual part of the Rosary and which I do not promote. The book mentions the prayer of Pope Francis with members of the Orthodox Church and other clergy (with a mention of Lutherans) without disclaiming that there is no salvation outside of the Church and that we should pray for their conversion. 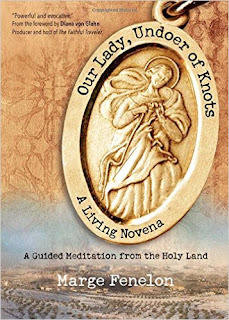 However, despite these issues that I would have changed had I served as the editor, I found spiritual benefit in this book and am happy to recommend Our Lady, Undoer of Knots by Marge Fenelon. Our Lady, Undoer of Knots, pray for us! Pray for the Church! Pray for the conversion of sinners! In recent days Pope Francis has made headlines by championing a new process of streamlining annulments in the Church under the intention of promoting mercy and reconciliation to the lost sheep of Christ's flock. Unfortunately, this latest scandal to the indissolubility of marriage has undone decades of work by Pope Benedict XVI and Pope John Paul II to prevent annulments being nothing other than the "Catholic Divorce." If divorce is not possible for a Catholic and with the number of annulments measuring in the tens of thousands each year, how is it that so many invalid marriages are allowed to be contracted to begin with? Along with the grave error of homosexual marriage which I recently wrote on, the issue of annulments are a very pressing and grave concern. If we fail to act, we shall certainly incur the judgment of God upon this very unholy and pagan world. To start, let's examine the basics. Q: What is an annulment? What is a divorce? How are they different? Up till lately, the Catholic Church has always upheld the Holy Bond of Marriage between a man and a woman. That means that the marriage bond was indissoluble which means “till death do us part”. But since the annulment process has been so liberalized and made easy since Vatican II, the marriage bond has been terribly weakened. Many people refer to the annulment process as the “Catholic divorce”. Annulment means that a couple go through a long process written questions, witnesses, canon lawyers and interviews to prove that there never was a marriage bond. I am not saying that there is not sometimes true grounds for annulments, but I think the whole thing has to be seriously looked at and be sure that we are not going against Jesus’ admonition: “What God has united, let no one separate”. 1) Not wanting children, because the purpose of marriage is to have children. 2) Hidden drug and alcohol abuse (and probably other addictions) at time of marriage . 3) Infidelity before, during and after the marriage. 4) Immaturity to be able to make a life long commitment, like marrying at 17 and the marriage only last a very short time. 5) Forced to marry by spouse, parents or circumstances like pregnancy. 6) Physical or verbal abuse before, during and after the marriage. 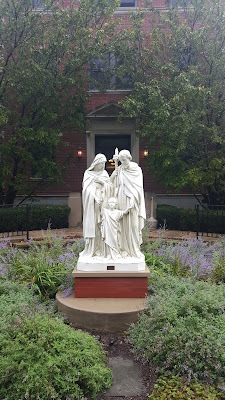 Then there is also what is called the “Pauline Privilege” that deals with the conversion of an unbaptized spouse to the Catholic faith and the other unbaptized spouse does not support it. Another whole very important area is the “Lack of Form”. This is where a baptized Catholic gets married without a Catholic marriage. This is for sure not a Catholic marriage and can be nulled. 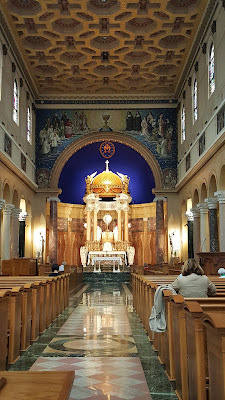 A Catholic only is validly married when they have filled out all the papers, have permission from the pastor, have the marriage witnessed by a priest or deacon and two witnesses. This only applies to baptized Catholics. All other marriages between non Christians or non Catholics are valid and can not be nullified with out an annulment process. This means that the non catholic spouse has to be willing to go through giving information for the catholic annulment process. Most find this very annoying. All marriages that take place outside the Catholic Church are valid because they are not Catholics and are not required to go by Catholic canon law. Q: How have annulments changed since before Vatican II in the 1960s? A: This picture illustrates how serious the situation has become. From 1952 to 1955 there were a total of 392 annulments issued for the entire world. This is seemingly in line with what an annulment is - it is a statement that a marriage was never validly contracted. You would logically expect that few of the people who claim to live a married life are actually not really married. 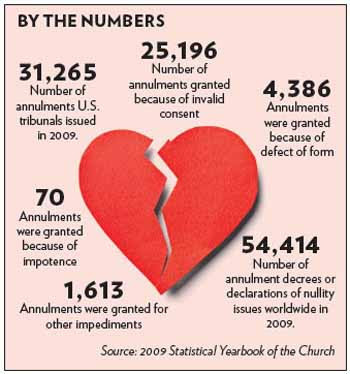 But in 1997 there were 73,000 annulments issued worldwide! It is simply ludicrous to believe that so many invalid marriages take place. If they do take place, shouldn't one of the greatest concerns in the Church and society be limiting the number of these invalid unions? Q: How have annulments changed under Pope Francis? How do these changes attack the indissolubility of marriage and undermine the Sacraments? 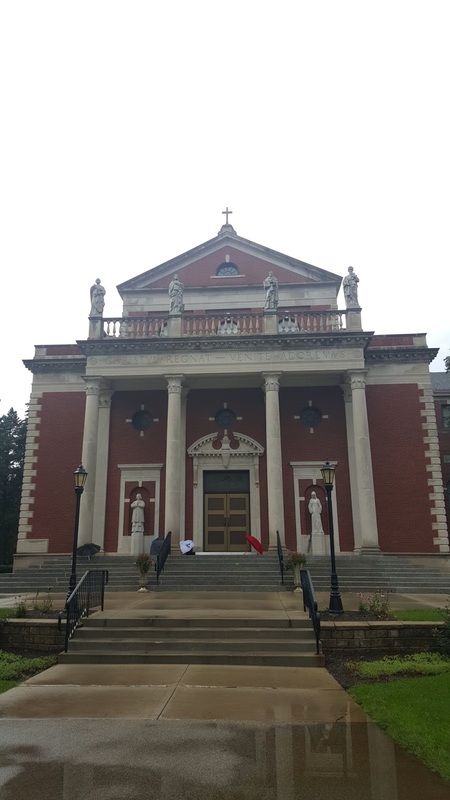 A: Father Glen Tattersall of the Priestly Fraternity of St. Peter recently published a response to the actions taken just last week by Pope Francis to change the annulment process. His response concretely summarizes the grave concerns of modern annulments. 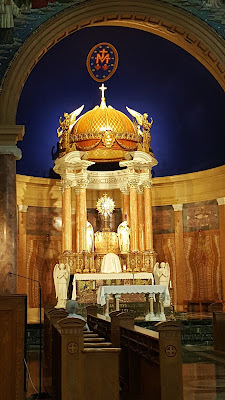 Recent days have witnessed what I regard as a grievous blow to the sanctity and indissolubility of marriage, under the guise of mercy and the salvation of souls. Pope Francis has issued, motu proprio, new legal provisions for declarations of nullity of marriage. In the Latin rite, these provisions are contained in the Apostolic Letter Mitis Iudex Dominus Jesus. I cannot deny the Pope’s power to promulgate these new provisions, but with all the respect that is due to his office, I find myself bound to question their appropriateness. It will be necessary to go into greater length in coming weeks or months, so today I will confine myself to the broad scope of the changes and my general concerns. 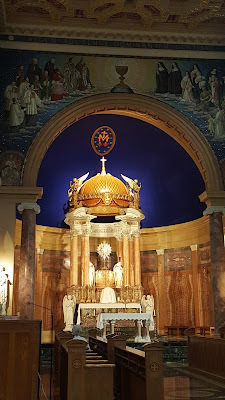 Because marriage is instituted by God, and according to God’s law and man’s nature is indissoluble (an indissolubility that is absolute in the case of sacramental marriage), marriages must be regarded as valid until proved otherwise. The Church cannot annul a true marital bond, merely declare – after a careful and precise canonical process – that a given putative marriage, after all, is not real because the conditions for validity have not been met. This means that the truth about the validity of the marriage bond is the fundamental consideration proper to the juridical process of a tribunal. In discovering this truth, the Church through the tribunal provides a true pastoral service to souls. The result of the new dispositions imposed by Pope Francis is to subvert this, and to establish as a priority instead the subjective interests of the parties. 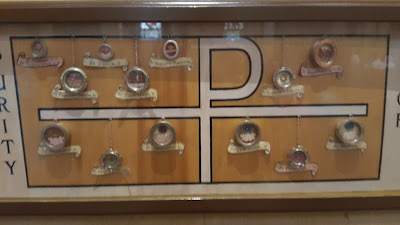 The most important novelties by which this is achieved are the general abolition of double judgment (by which cases are submitted to a second tribunal for a confirmatory judgment), the granting of wide powers to Diocesan Bishops to make their own determinations of cases, and the provision of a fast track process where both parties consent, and certain factors are present – a number of these factors, such as brevity of married life, having no actual bearing on any question of validity! This is indeed a revolutionary decree, hurriedly draped up in a vague semblance of conservative legal form. Aside from anything else, it seems to me that declarations of nullity under these new provisions, potentially, will be so lacking in juridical integrity, and therefore in any corresponding moral certitude, that it may become impossible to distinguish a legitimate case of nullity from one without any real basis. The implications are obvious, and terrible. This, on the eve of a Synod that was supposed to dealing with such matters…. So much for collegiality! Q: What is the Negative Effect of Annulments? It was with this world of "hedonistic ideals" that Vatican II merged, not to remedy the problem, but to insure its success. Its objective was to promote and accelerate the engine driving this hedonism by adding the dynamism of the Church to it. One field where its effects were clearly felt is Catholic marriage. To destroy the indissolubility off marriage is to destroy the august benefits of the family. In the annulment process, practically any pretext has been accepted to end marriages and the result is that some 60,000 annulments a year have taken place. An annulment made under the authority of Church is now a form of divorce in every way but name. The "Catholic divorce" is extremely harmful to the family and society. It hurts children as well as spouses, often induces applicants to misrepresent the past, and drives many away from the Church. It is a disaster. In His Sermon on the Mount (Mt 5:31-32), Our Lord expressly forbade divorce, but the Jews rejected this precept forthwith. Passing through the district of Peraea, we see Him assailed by His bitter enemies, the Pharisees, who nowhere leave Him in peace. Having decided to hasten His death, they were always on the watch for some “error” on His part so they could condemn Him. They thought they had found one on the subject of marriage. With hearts of malice, the Jews posed this question to Our Lord: “The great lawgiver Moses allowed divorce and remarriage. Do You deny the validity of the Law of this man of God?" Our Lord pointed out that Moses made this temporary concession because of the hardness of the Jews' hearts. He allowed divorce in some instances in the Old Law, but this temporary permission came to an end in the New Covenant. Thus, He reestablished the indissolubility of marriage in all its chaste beauty. 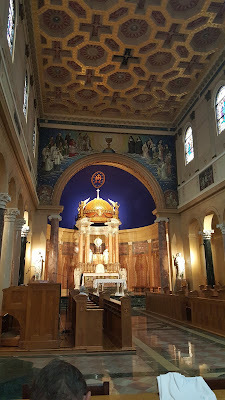 Indissolubility of marriage was the rule of law in the Catholic Church from the time of Our Lord until Vatican II, when the agents of Progressivism devised a method to snooker Our Lord's command, that is, to place the indissolubility of marriage in an almost impossible situation. Q: What can we do? A: Pray for the family. Pray for the intercession of the Holy Family to intervene and help us in this a time of great necessity. The media has widely made known the case of Kim Davis, the County Clerk from Kentucky, who has opposed the legislation of "gay marriage" in the United States by refusing to issue marriage certificates to homosexuals under her authority. Kim has repeatedly stated that to do so is in violation of her conscience and an offense against God. But is Kim Davis someone worth imitating? Is Kim right about marriage in the fullest of the sense? Is Kim another St. Thomas More? Firstly, it's worth repeating: Human Law is subordinate to Divine Law and Natural Law. Natural law and its role is the pivotal issue underlying Kim's actions. Despite his unjust conclusion, US District Judge David Bunning correctly saw natural law as the foundation of the issue when he said, “The idea of natural law superceding [sic] this court’s authority would be a dangerous precedent indeed." But that is precisely the error! The natural law does supercede mere human legal constructs. The Natural Law is superior to the Constitution of the United States! Sooner should the masonic inspired Constitution be undone than the natural law - and the Divine Law - be unjustly subjected to inferior laws made by fallible men. 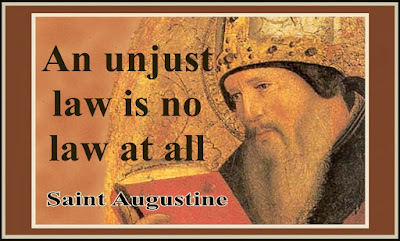 Human laws error - divine laws are without error. It should be common sense for us - men error and thus make imperfect laws. God however is perfect and His laws are universally true for all peoples at all times. No government on earth has lived forever and no earthly government will last forever. The time will come for all governments to fail as ancient Rome fell and with it, earthly laws are shown to be fallible and short-lived. Pope Leo XIII affirmed this blatantly in Rerun Novarum: "No human law can abolish the natural and original right of marriage, nor in any way limit the chief and principal purpose of marriage ordained by God's authority from the beginning: 'Increase and multiply.'" Should someone who claims to be Catholic actually claim that human law supercedes natural law, that person would become a heretic outside of the Ark of Salvation and an enemy of God. Kim Davis is right to resist this unjust law as it distorts the Truth by affirming that which is contrary to the natural law. But is Kim Davis a true example of Catholic marriage? Far from it! Kim Davis may have rejected homosexual "marriage," but she has fallen into the protestant heresy of accepting divorce. In truth, many people in our society that the government identifies as married are in fact not married at all. Divorce itself does not exist. Our Blessed Lord forbid divorce completely. Those who are legitimately married can never put aside their spouse for another one. We have the example of Kim Davis and others who support the notion of divorce. Those who have entered into civilly accepted "marriages" including gay "marriage" and multiple marriages following divorces attack the truths of the Catholic Faith. In the 1600s, our Blessed Mother appeared in South America under the title "Our Lady of Good Success," and the Church has fully approved the validly of these apparitions. Our Lady of Good Success said back in the early 1600's that in our times: "The spirit of impurity will saturate the atmosphere . Like a filthy ocean, it will run through the streets, squares and public places with an astonishing liberty..."
She also said that the Sacrament of Matrimony, which symbolizes the union of Christ with His Church, will be "attacked and profaned in the fullest sense of the word." 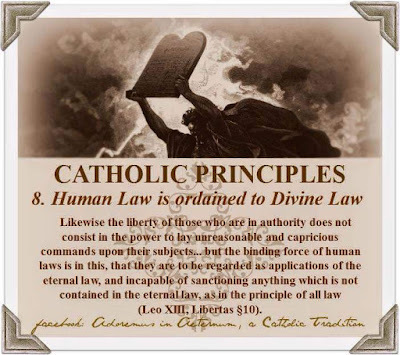 Iniquitous laws will work at doing away with this Sacrament, making it easy for everyone to live in sin, encouraging the procreation of illegitimate children born without the blessing of the Church. These prophecies have been fulfilled. We are now reaping the rotten fruits. Man is so blinded by sin that he can no longer understand the Natural Law. Let us remain faithful to God's unchanging Laws, and we will understand and embrace Marriage as God has created it. Rather that honoring Kim Davis, let us seek to defend marriage in the fullest sense against all attacks. Let us pray not only for her to remain steadfast in her conviction against gay marriage, but also let us pray for her conversion to the True Faith and the acceptance of the truths of marriage and the impossibility of divorce. Marriage is indissoluble and whether the assaults on it are from atheistic liberals or protestants, we as Catholics must remain on the narrow road of Truth and defend that which Christ taught. 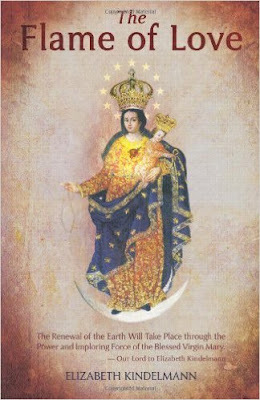 This Flame of Love book that you requested is provided to you in the hope that you will prayerfully decide to devote your life more fully to Jesus through the Immaculate Heart of Mary. The letter states that the Archbishop of Esztergom-Budapest and President of the Council of Episcopal Conferences of Europe, Cardinal Peter Erdo, gave an imprimatur to the Hungarian manuscript of the Spiritual Diary of Elizabeth Kindelman, "authoring the publication of the messages given to her by the Lord Jesus and the Blessed Virgin Mary." 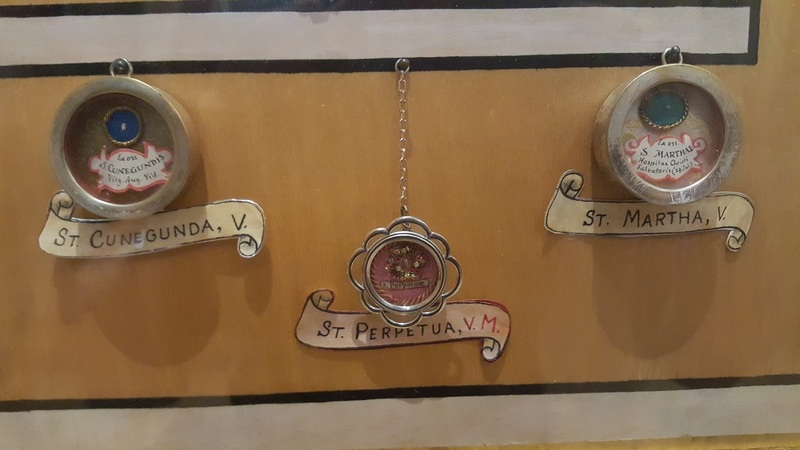 The letter continues, "These Heavenly communications, given between the years 1961 and 1982, are consigned in her Spiritual Diary at the request of the Lord Jesus." The letter further states: "These messages are urgent and emphasize the 'same' messages as most of the other church approved messages from Anika, Betania, and elsewhere. The Lord states: 'The Grace from the Flame of Love of My Mother's Immaculate Heart is Noah's Ark.' We believe these messages from God are the most important of all so far since Fatima as there is a signal grace intended for each person and we are asked to pass it to others." I have read much of the book and find it inspiring. 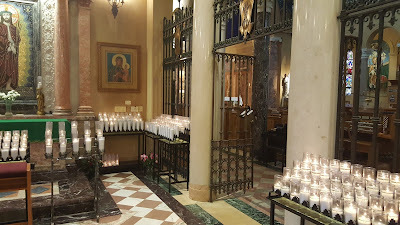 The Flame of Love does have an imprimatur by Archbishop Chaput. While an imprimatur does not mean that the Church official approves the apparitions are true, it means that no items in the book are contrary to Catholic teaching. While I can find little online regarding these apparitions and whether or not they are officially approved (or at least not condemned), this book does contain some spiritual wisdom and an example of holiness and trust in God's providence as seen through Elizabeth Kindelman. 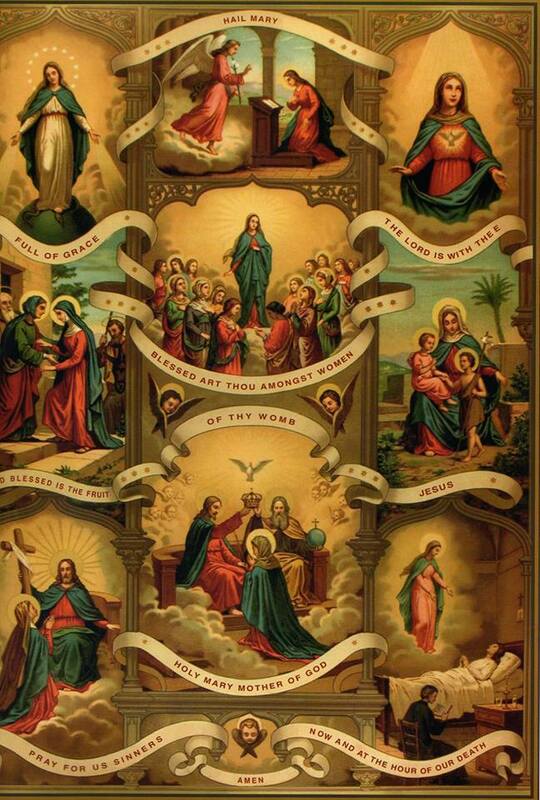 Holy Mary, Mother of God, pray for us! Help us to pray the Rosary daily as you have asked! 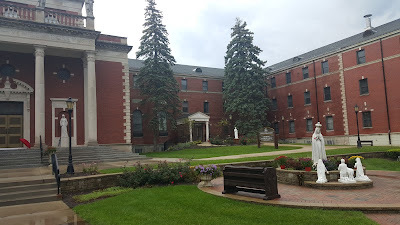 These photos were taken on my visit to the National Shrine of St. Maximilian Kolbe (Marytown) in Libertyville, Illinois. 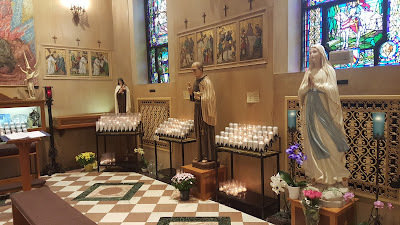 I visited the Shrine on Tuesday in honor of the Nativity of our Blessed Mother. 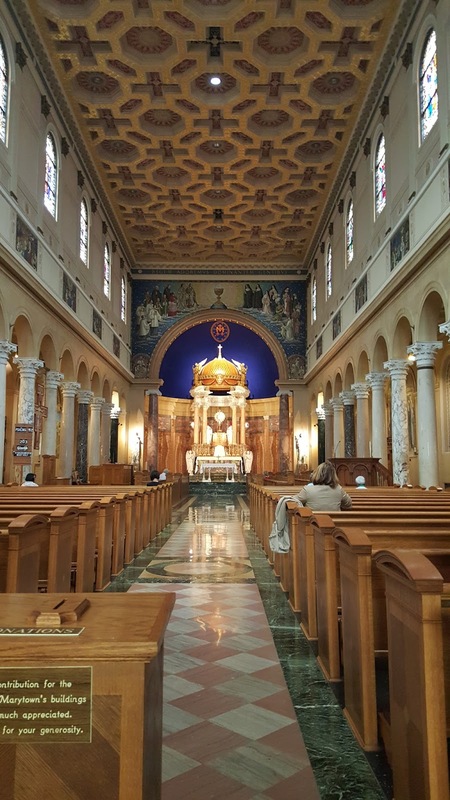 You are free to share these photos so long as you attribute them as: Photo taken by Matthew of A Catholic Life Blog. On Saturdays, Catholics traditionally have taken part in the "First Saturdays Devotion" which entails going to Mass and receiving Communion for the first Saturday of the month for 5 consecutive months in reparation to the Immaculate Heart of Mary. 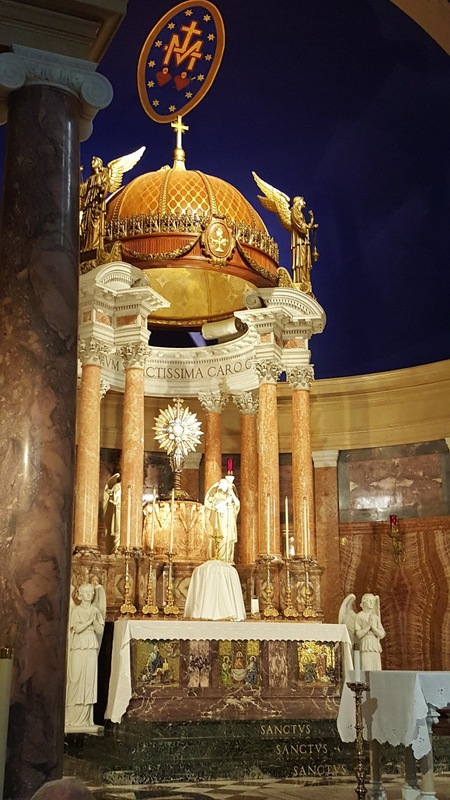 This devotion is not to be confused with the First Friday's Devotion, which is dedicated to the Sacred Heart of our Lord Jesus Christ. On July 1, 1905, Pope Pius X approved and granted indulgences for the practice of the First Saturdays of twelve consecutive months in honor of the Immaculate Conception. 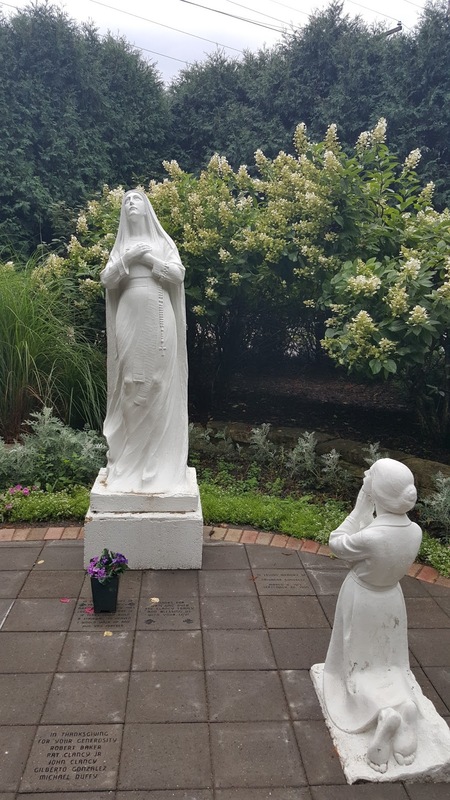 The First Saturday Devotion did not originate as part of the apparitions of our Blessed Lady in Fatima, but the devotion did quickly spread further following our Lady's series of appearances to the three shepherd children in 1917. Look, my daughter, at my Heart encircled by these thorns with which men pierce it at every moment by their blasphemies and ingratitude. You, at least, strive to console me, and so I announce: I promise to assist at the hour of death with the grace necessary for salvation all those who, with the intention of making reparation to me, will, on the first Saturday of five consecutive months, go to confession, receive Holy Communion, say five decades of the beads, and keep me company for fifteen minutes while meditating on the fifteen mysteries of the Rosary. 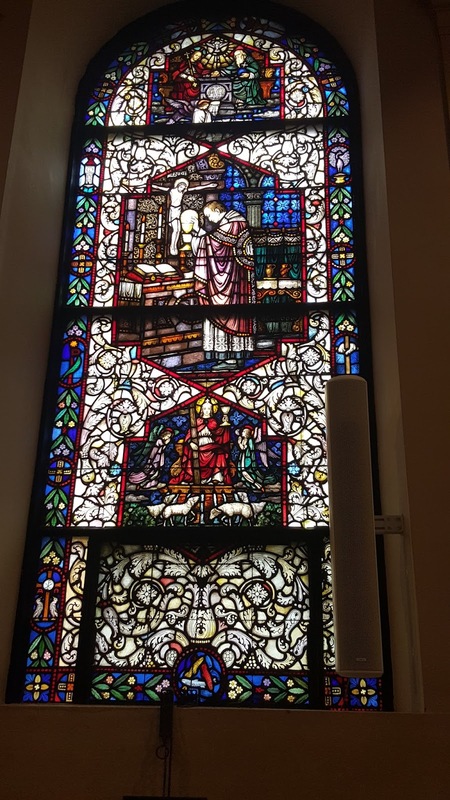 You must go to the Sacrament of Confession. Your reception of the Sacrament may be 8 days before the Saturday as long as you stay in a state of grace. 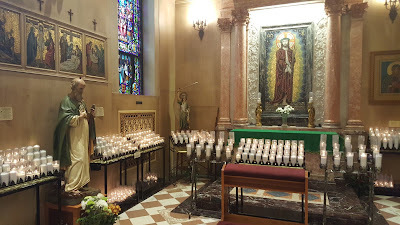 You must pray 5 decades of the Holy Rosary of our Lady, including the Fatima Prayer. 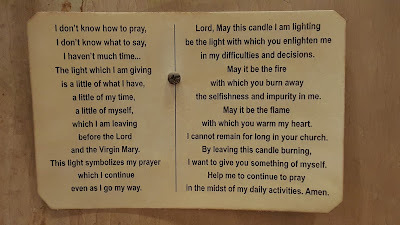 Finally, the last requirement consist of "keeping Mary company" for 15 minutes while meditating on all of the Mysteries of the Rosary with the intention of making reparation to her. This can be done by reading Scripture or other writings relevant to the Mysteries, meditating on pictures of the Mysteries, or simple meditation. 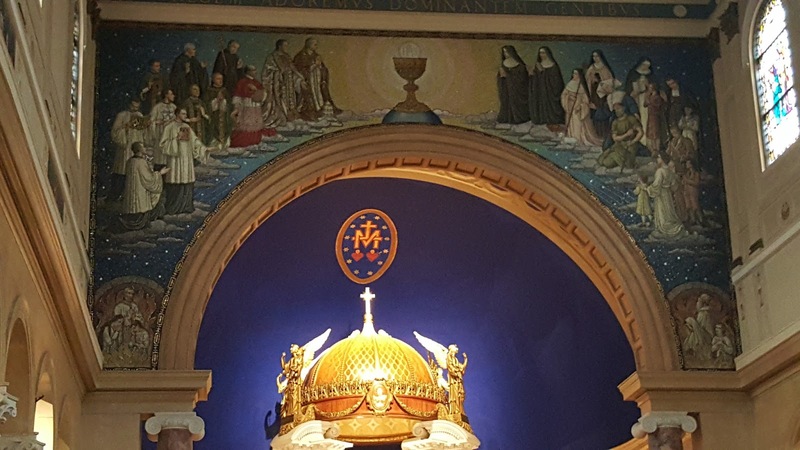 Materials for meditation and education on each of the Rosary mysteries is available online. Read more on Devotions to the Blessed Virgin Mary on Saturdays. On August 1, 2015, the image of a huge devil was projected on the East façade of the Empire State building in New York City. The projection was that of Kali, the Hindu Goddess of Death and Destruction with decapitated human head “beads” for its necklace. This is totally unacceptable for a nation that calls itself Christian. It is obvious that underground forces are making a huge effort to make the Devil common place in America and this IS what is at stake here. Please help me protect the innocence of our children, please help me protect America from the demonic by signing the petition on the right. Keep America Devil Free! St. Michael Pray for us!